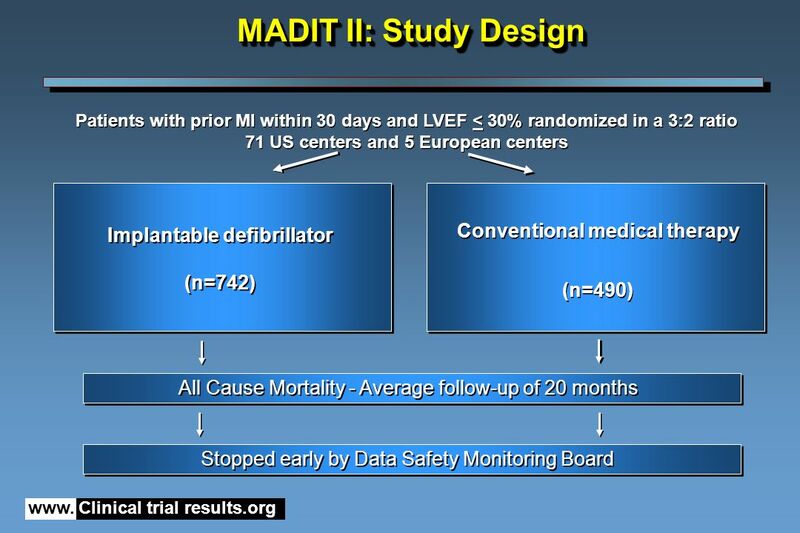 The MADIT II Trial Multicenter Autonomic Defibrillator Implantation Trial II Presented at the American College of Cardiology 51st Annual Scientific Session. 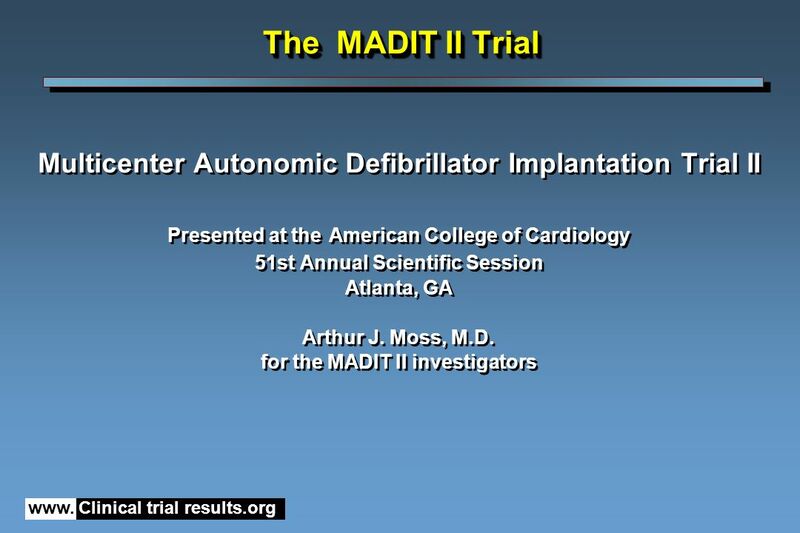 Download ppt "The MADIT II Trial Multicenter Autonomic Defibrillator Implantation Trial II Presented at the American College of Cardiology 51st Annual Scientific Session." INTRINSIC RV Trial Presented at The Heart Rhythm Society Meeting May 2006 Presented by Dr. Brian Olshansky Inhibition of Unnecessary RV Pacing with AV. Sudden Cardiac Death Prevention: Clinical Trials Alena Goldman, MD September 9, 2004. SMASH-VT Trial Presented at The Heart Rhythm Society Meeting May 2006 Presented by Dr. Vivek Reddy Substrate Mapping and Ablation in Sinus Rhythm to Halt. 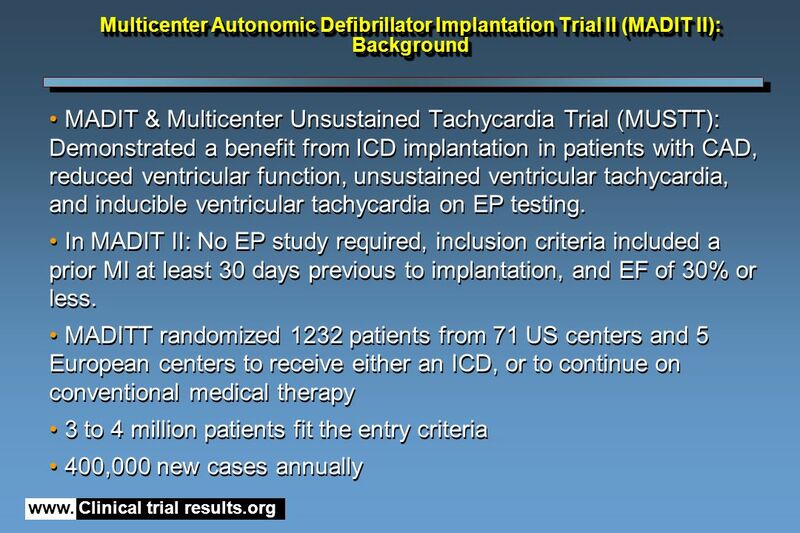 Protection Devices in PCI-Treatment of Myocardial Infarction for Salvage of Endangered Myocardium Study Presented at American College of Cardiology Scientific. 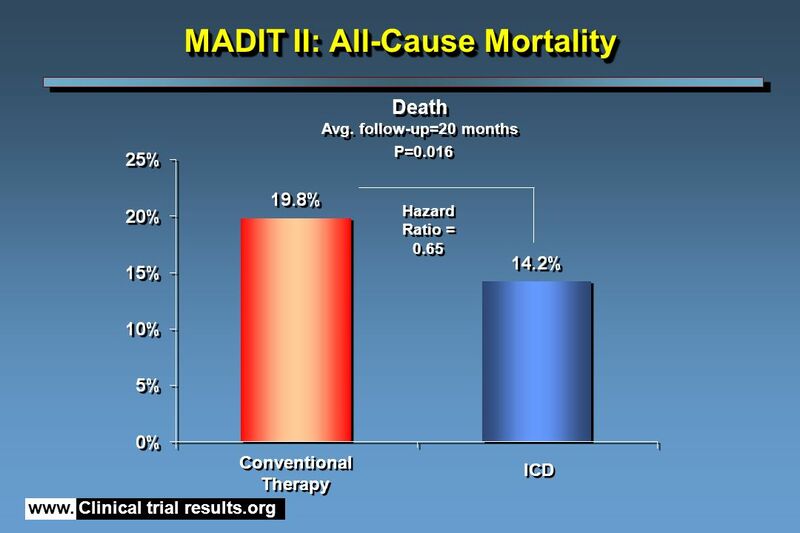 MADIT Randomized Trial to Reduce Inappropriate Therapy (MADIT-RIT) Arthur J. Moss, MD for the MADIT-RIT Executive Committee AHA Late Breaking Trials November. Intracoronary Autologous Bone-Marrow Cell Transfer after Myocardial Infarction: A Double-Blind, Randomized, and Placebo-Controlled Clinical Trial Presented. La stratificazione del rischio aritmico oltre la frazione di eiezione Milano 17 Aprile 2009 Prof. Luigi Padeletti Heart Failure & Co. 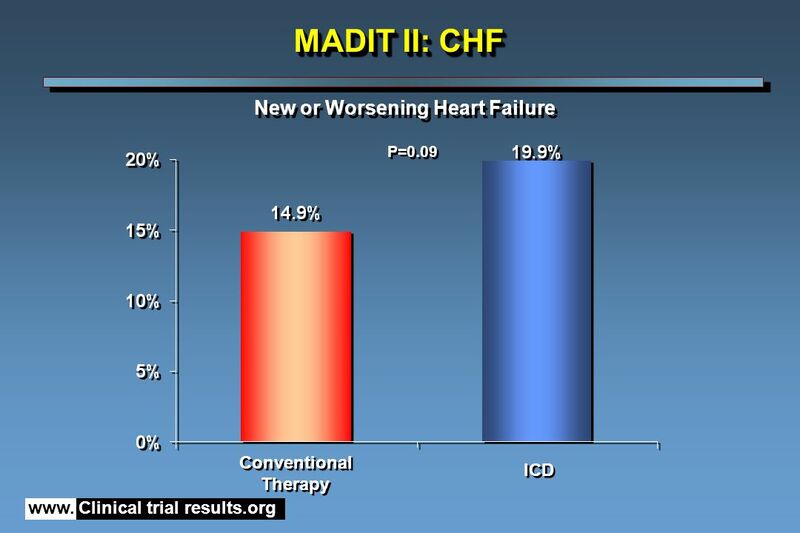 Chronicle Offers Management to Patients with Advanced Signs and Symptoms of Heart Failure Presented at American College of Cardiology Scientific Sessions. 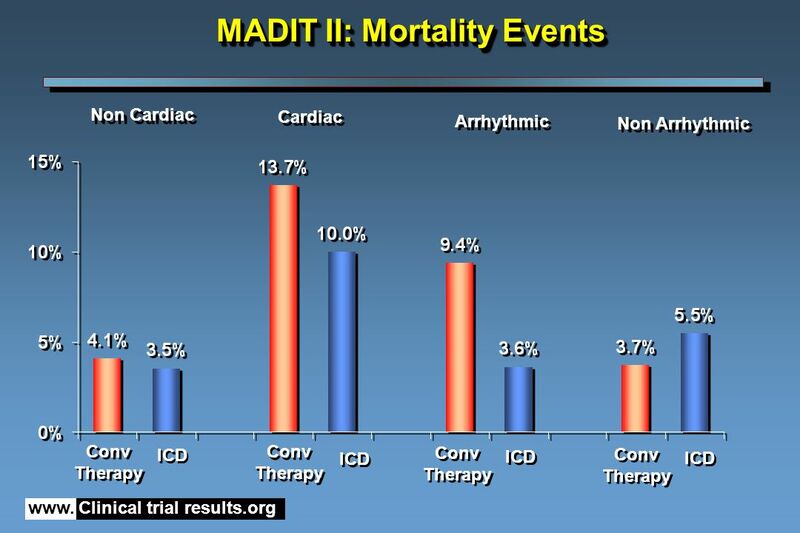 Prevention de la Mort Subite Treatment of Ventricular Arrhythmias and the Prevention of Sudden Cardiac Death S. Nasr, M.D. Clinical Cardiac Electrophysiologist. PACT Clinical Trial Commentary Dr Eric Topol Chairman and Professor, Department of Cardiology Director of the Joseph J Jacobs Center for Thrombosis and. Implantable Cardioverter Defibrillator Rebecca Boduch Biomedical Engineering University of Rhode Island.